The Ergobaby Teething Pads are the perfect accompaniment to your Ergobaby Baby Carrier, allowing baby to teeth and your carrier to stay clean! The Ergobaby Carrier Teething Pads are very easy to attach around all Ergobaby carrier straps, giving teething babies something to chew and relieve their pain, whilst keeping the straps in tact. The pads are reversible and machine washable. 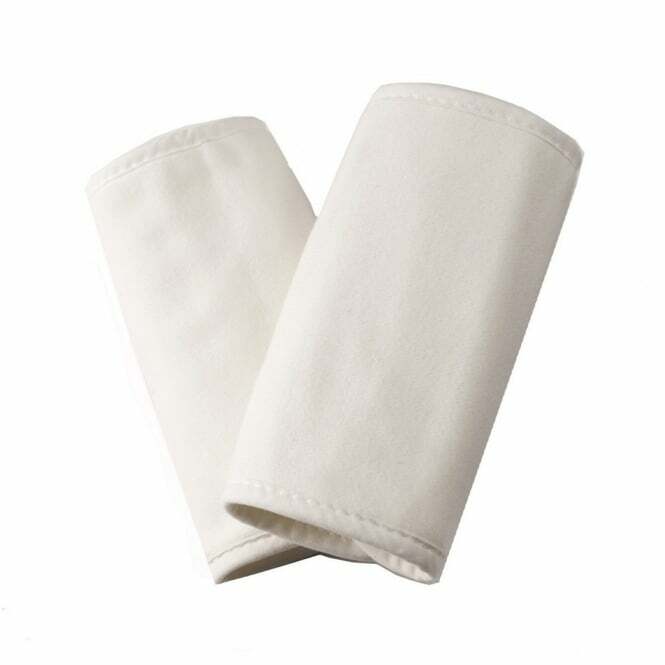 What are the specifications for the Ergobaby Teething Pads? Machine washable. Cold with mild detergent on gentle cycle. Dry in low heat.